The first step is easy: you just need to remove the old walkway if there was one, then just clear any vegetation. Always remember to use good gloves and safety glasses, when using machinery. Your next step is to measure and mark out your walkway. Once you have decided how wide and long you want it, use stakes and tight string to layout your walkway. Now its time to dig out the bed of your walkway. You will need to dig a trench 8 inches deep. After this, ensure that your bed is level and compacted. Following this is your base material, which is usually crushed gravel. Add a 4 inch layer of the crushed gravel. In order to work out how much material you will need, simply multiply the length, the width and the depth together, and that will give you the amount of cubic meters of material you will need. It is also suggested that you add 5%, to accommodate for some that will be cut or split, to fit odd spaces. The base material must be leveled and then compacted. You may need to use a tamper. 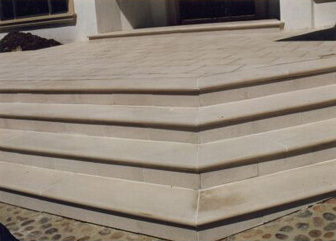 Make sure the base is compacted properly, for this is very important for the durability of your walkway. Now you need to add a 2 inch layer of coarsely grained sand. The sand must be made of sharp edged particles, so they will compact together better. Compact down the sand layer. 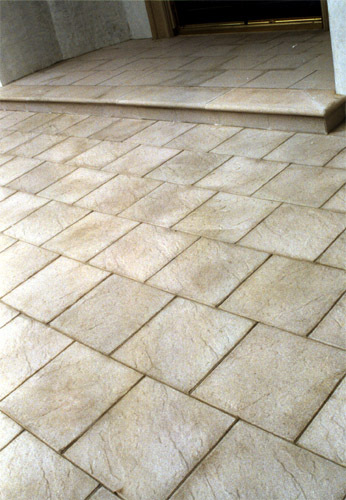 In order to work out how many walkway pavers you will need, multiply the full length of the walkway, by the width of the walkway. This will give you the amount of square meters of brick pavers that you will need. Again add 5% for those that will be cut and split. If your walkway is curbed, separate into two or three areas, and measure the walkway in sections, then total them all at the end. 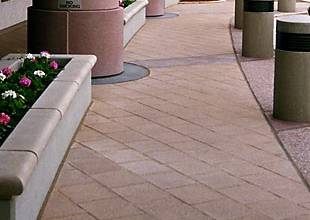 Choose the design you wish to use for your walkway. Often people choose a pattern for the edges and one for the middle section. Start to lay the first row of walkway pavers along the width of the walkway. Ensure that you don’t push the bricks into the sand, just lay them on top gently, this will make a flatter walkway. If you need to cut some of the walkway pavers, be sure to use a diamond cut blade, for best results. Once all the walkway pavers have been laid, you should now sweep dry sand over the surface, filling in the joints. Run a plate compactor over the pavers only once. Then sweep some more sand over the surface again. You may also need to do this a few more times, particularly after severe storms.